Electrolube's Non-Silicone Heat Transfer Compound Aerosol is an innovative new way of applying our standard HTC. The aerosol version offers greater ease of use, allowing a thin, even film of HTC to be applied where required. It is especially useful for applications over larger areas. 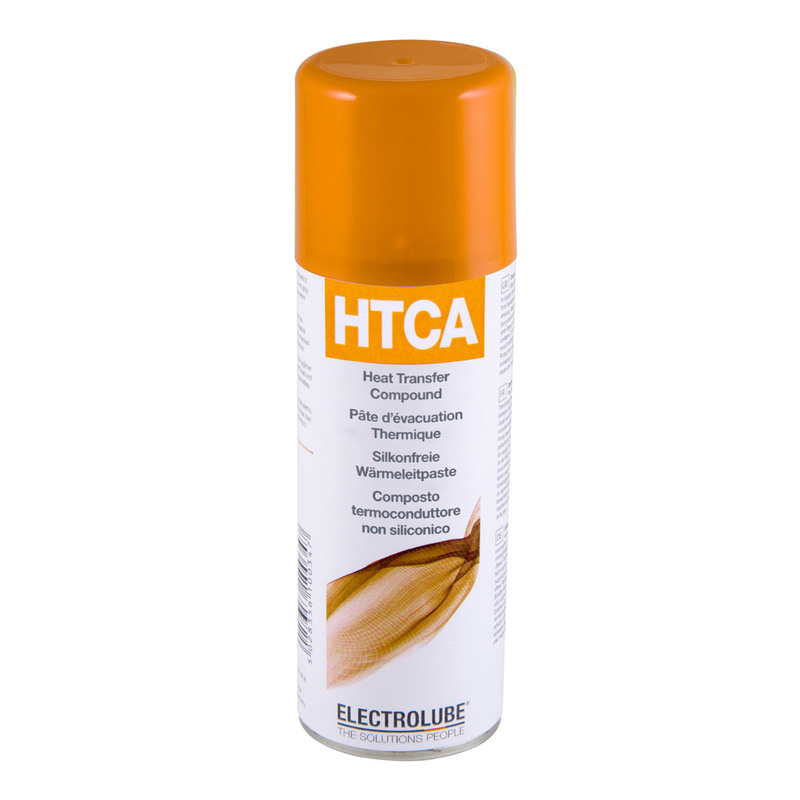 As with all Electrolube aerosols HTCA is 100% Ozone Friendly. Product contains flammable solvent therefore do not spray onto live electrical equipment or other sources of ignition.